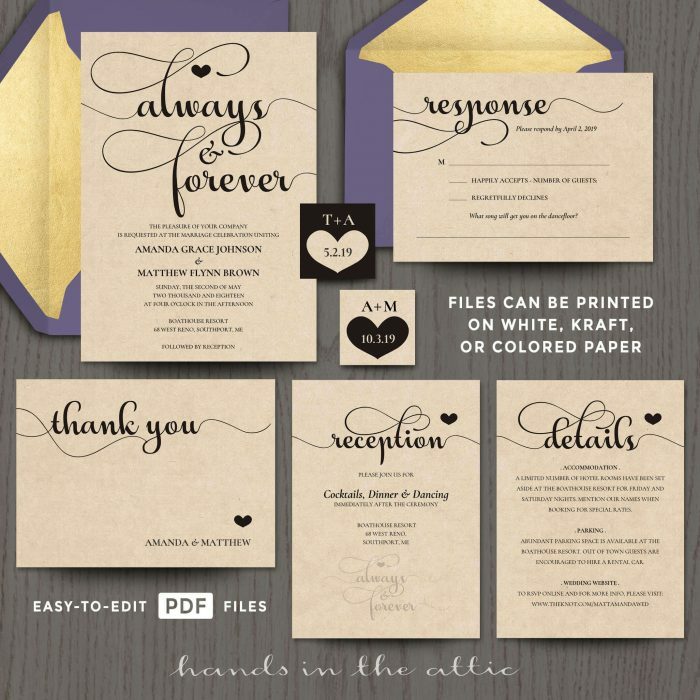 Announce your special day with our Always and Forever Wedding Invitation Templates. 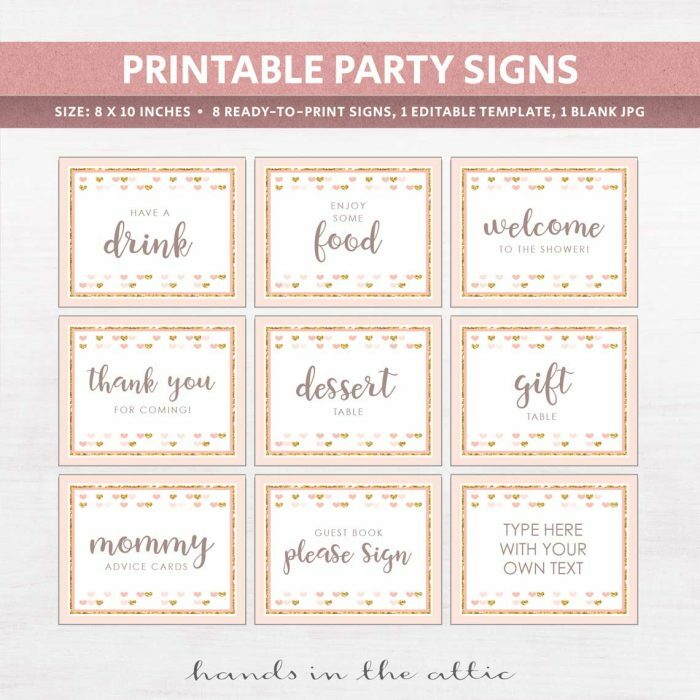 Use this DIY invitation kit to create personalized, printable files for your Invitation, Details, Reception, Response and Thank You cards. 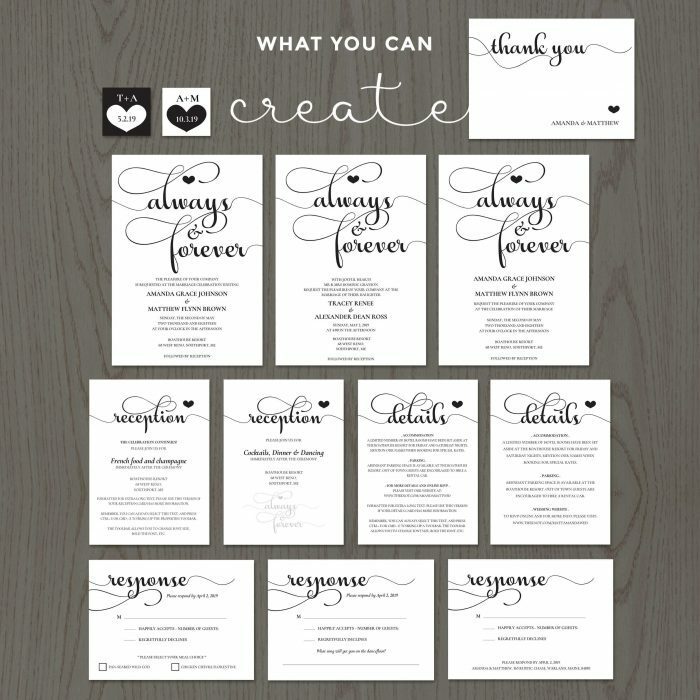 Templates are pre-formatted to make it easy for you to modify and have your cards look great at the same time. 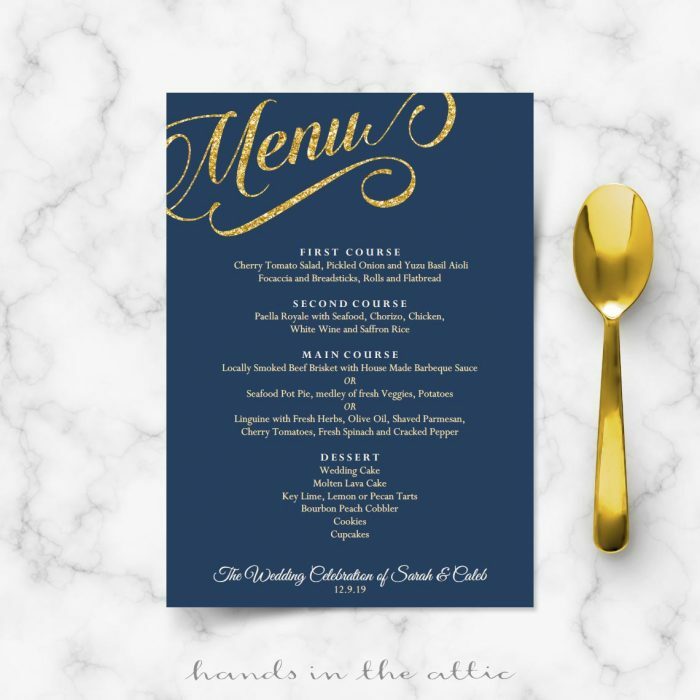 At least 2 versions of each card (except Thank You) are included, so you have template choices depending on your invitation preferences. Once your cards are personalized, print as many copies as you need. Set your print quality to High if printing at home. 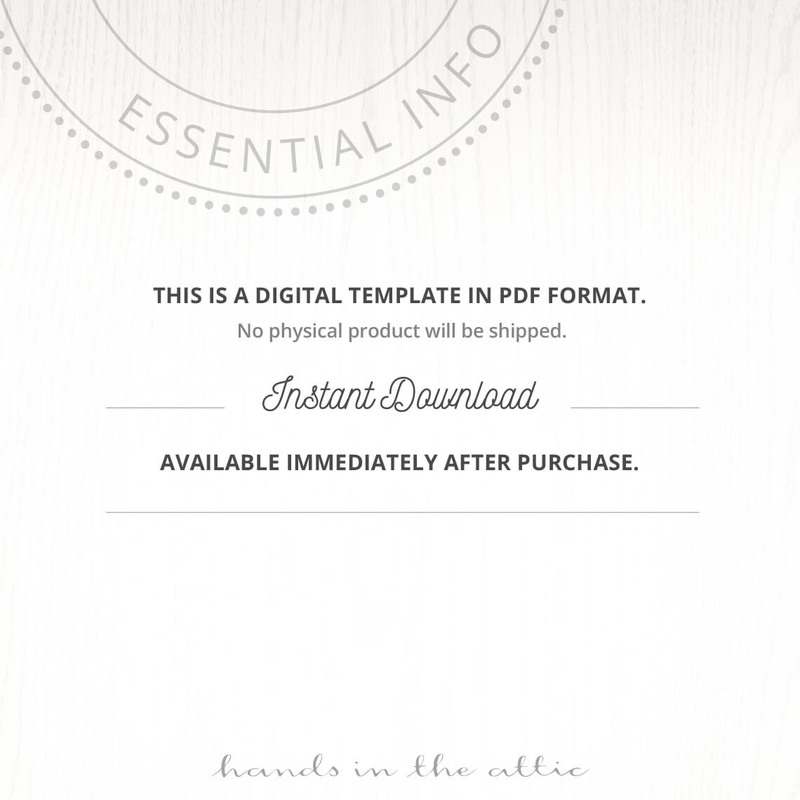 All products on Hands in the Attic are digital. No physical cards will be sent. It's easy to edit. 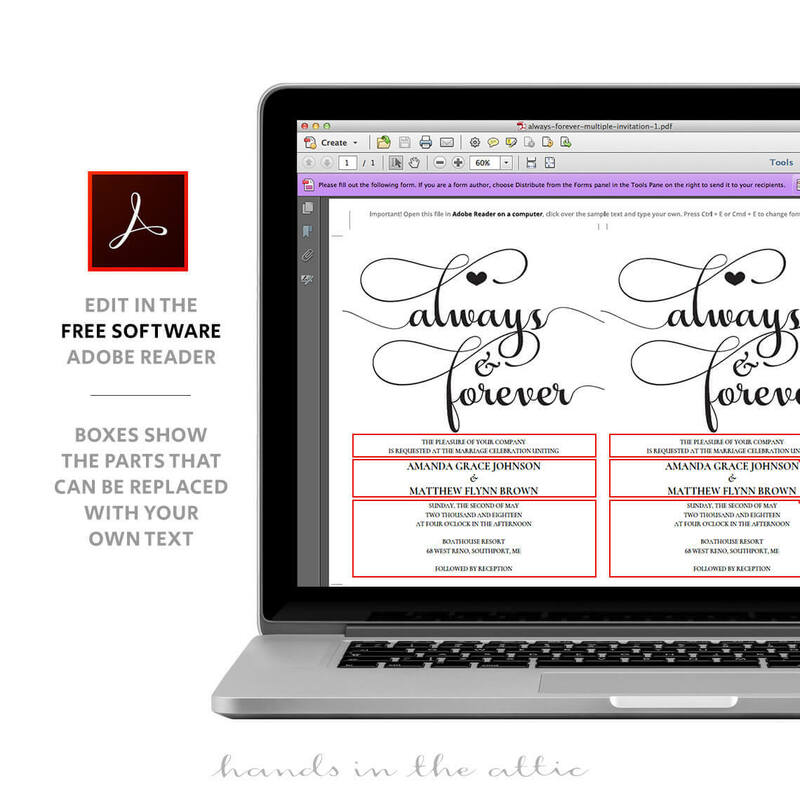 Make changes in Adobe Reader only. Print on white or colored paper. The text color will be black and the background will be your choice of paper. Envelopes are for presentation purposes only. Envelopes are not included in your download.